Episode 56 - I Want My Flamethrower! Episode 55 - WHERE’S MY ALCANTARA? HEATED debate going on over at the Tesla Owners Worldwide Facebook group. A guy is ticked off that his Model 3 will be coming with a fabric roof liner instead of Alcantara. Many, like me, don't get his rage and comedy ensues. People shorting TSLA stock have lost $1.1 BILLION since the beginning of the year as the stock price continues to rise. Non-believers. Former GM Vice-Chairman Bob Lutz says Tesla is going out of business. And the Model S is a great car. You should buy one, as it will become a collector's item. A video has surfaced showing a test run of the Tesla Semi. IT IS AWESOME! Switzerland is getting its first non-Tesla Supercharger. And Tesla is none too happy about it. Tesla is doing another giant battery for an energy company, this time in New Zealand. Man there is some cool Tesla stuff on Etsy! T-shirts, hoodies, coffee mugs, 3D printed charger holders... everything! Had a great time at the Denver stop of the Tesla Model 3 Road Trip! You You Xue was a great ambassador for the car and it was great meeting so many fellow Tesla owners. The state of Rhode Island has green lighted Tesla sales in the state. Looks like a lot of Supercharger expansion coming in 2018. 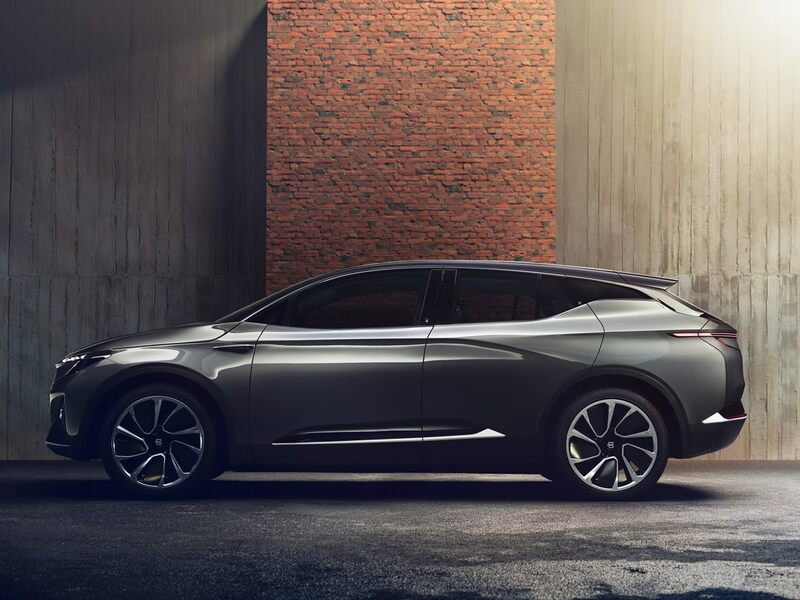 Faraday Future will not die! Try Chill Mode for winter driving. Some drivers are reporting that the more gradual acceleration makes the car handle better on slippery roads. Try it. Let us know what you think! Episode 53 - Drive-In or DRIVE-IN? Getting excited to meet You You Xue on the Tesla Model 3 Road Trip. Denver stop was pushed from Sunday 2 pm to Monday at 11 pm. Let's hope they aren't too late! Model 3 production is up 900% in Q4! Reservation holders in all states are now getting the email to configure and order thier 3! 2012-2016 Model S are impacted by the Takata airbag recall. It's CES week and we have a new EV prototype! 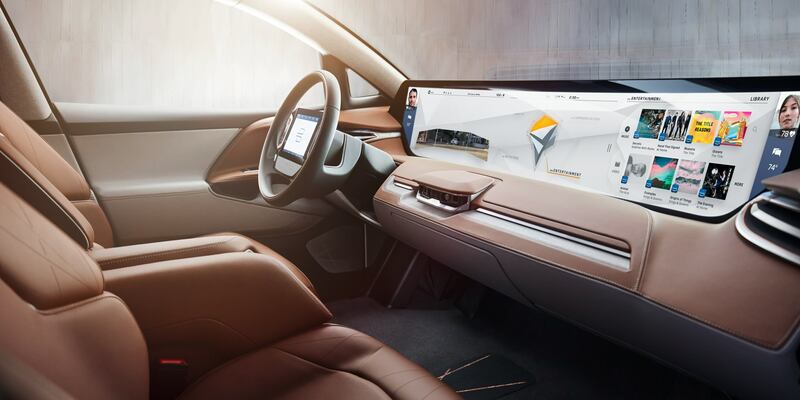 Check out the $45,000 Byton. And its 49 INCH screen! Is it a Drive-In? Or a Drive-In?? Got a new Model S or Model X? 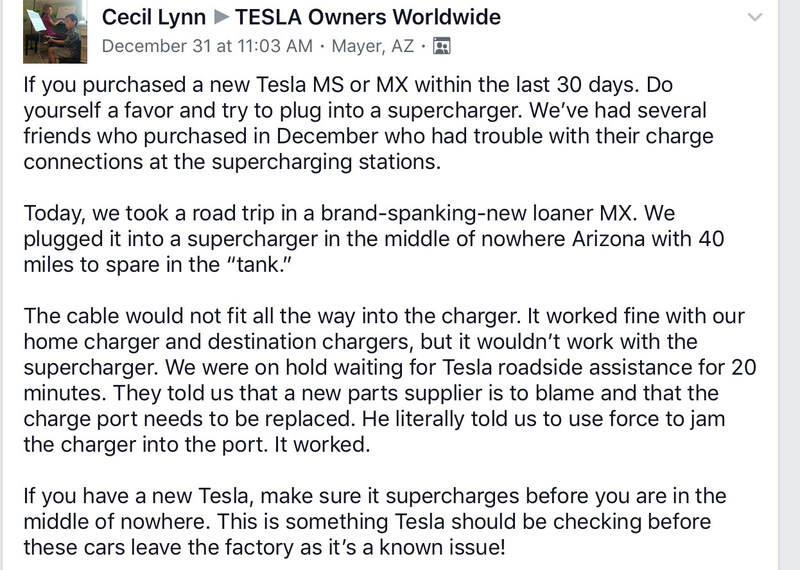 Make sure the Supercharger cable fits before it's critical that you use it! 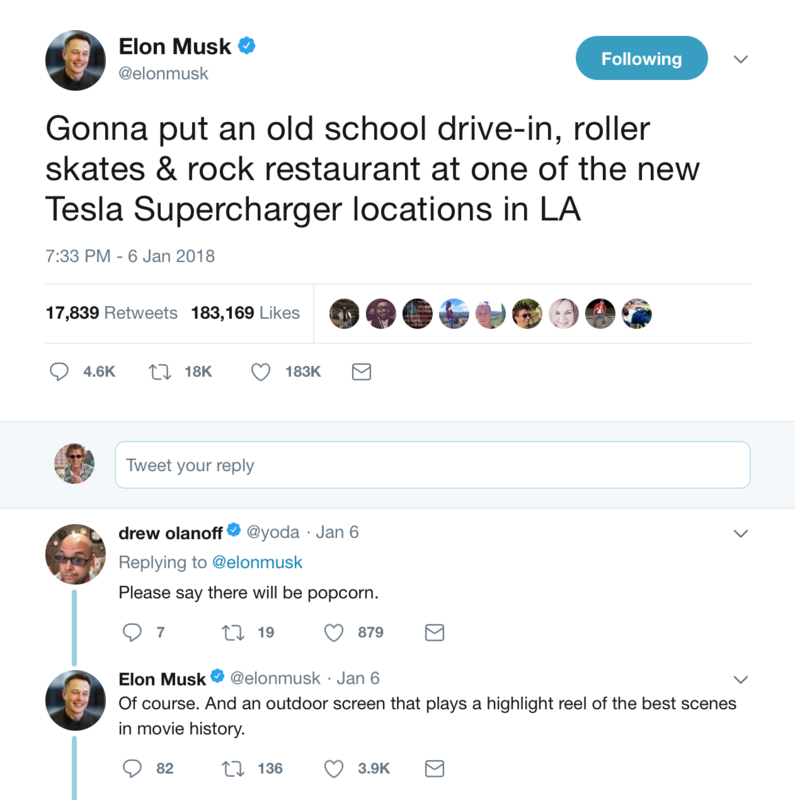 Note to Elon Musk: When you tweet a thank you, if you end with "what can we do better?" you will get 16,000 answers! We talk about some of the suggestions he responded to. The Verge gave Tesla a C- on their 2017 Report Card. AUTOMATIC WIPERS ARE HERE! AUTOMATIC WIPERS ARE HERE! China bans 553 car models for excess emissions. Does Elon need a COO to help relieve some of his workload? Or would he let ANYONE do the things he has his hands on now? You MUST follow Model 3 Road Trip on Facebook! These guys just picked up a Model 3 and are driving it ALL OVER the country. Find out when they will be in your town and stop by to see them!